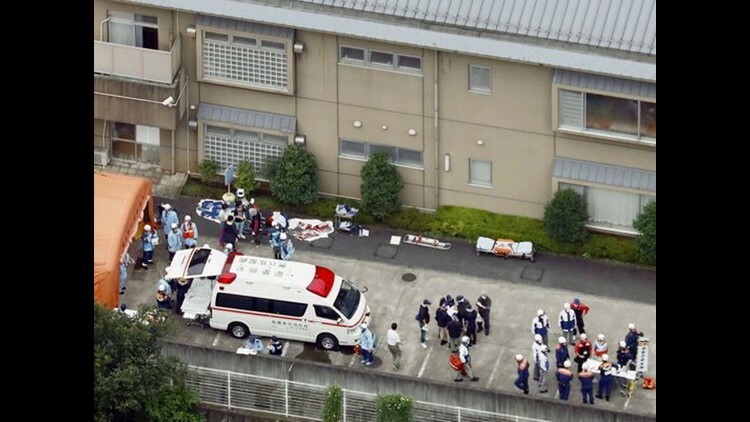 At least 15 people were stabbed to death and possibly dozens injured in a rampage outside Tokyo early Tuesday at a facility for people with disabilities, according to Japanese media. Police arrested a man, age 26, after he turned himself at a police station in the city of Sagamihara, west of Tokyo, shortly after 3 a.m., broadcaster NHK reported. Police said they received a call from an employee of the facility saying a man wielding a knife broke into the building, NHK said. Police said the suspect told them he was a former employee of the center, according to the broadcaster. Television footage showed several ambulances parked outside the facility, with medics and other rescue workers running in and out, the Associated Press reported. Kyodo News agency said 28 people were injured.